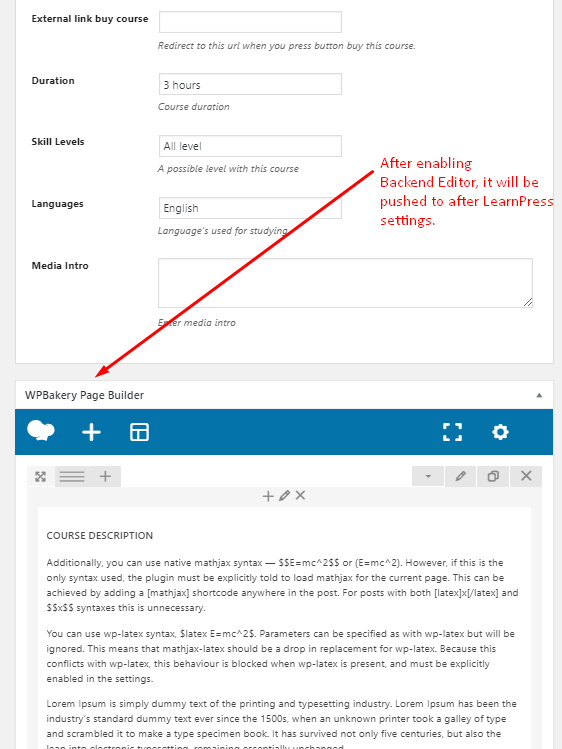 Here come the question that we got asked almost every single: How to add Visual Composer WP Bakery Page Builder into LearnPress and Eduma’s course page? 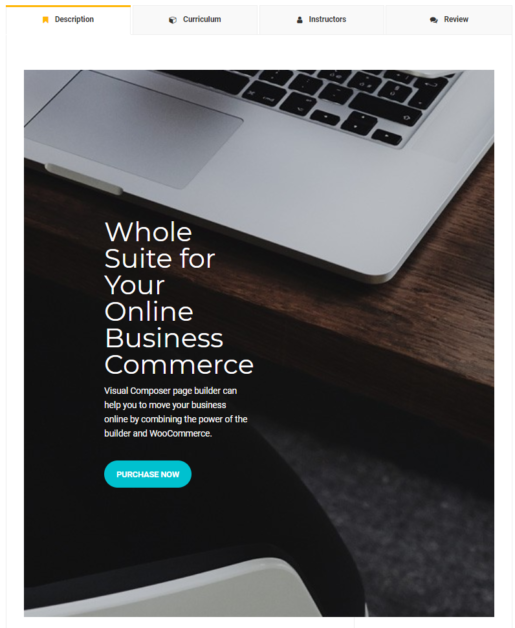 Normally, Visual Composer (VC) are enabled automatically for all pages so you can build pages with VC easily. 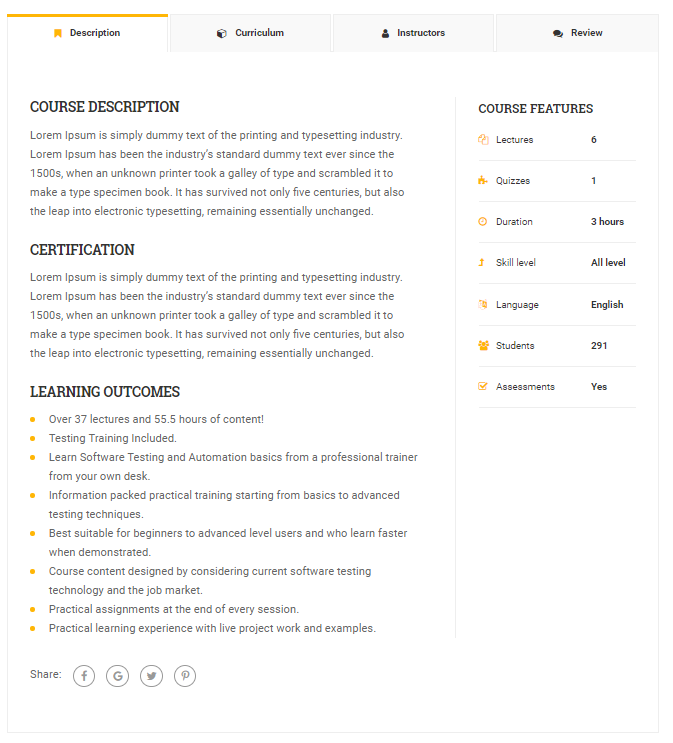 However, for Eduma’s course page, it has always been the boring non style text like in this image. 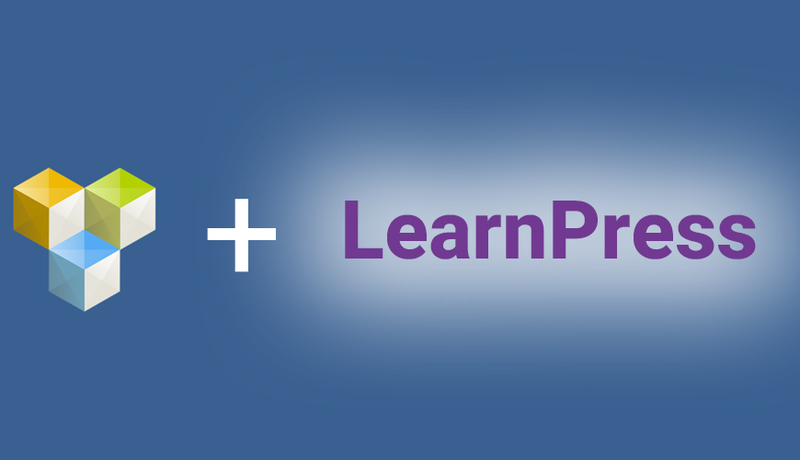 As from the above screenshots, after you turn on VC for LearnPress, you can add some rows, columns, add icons, buttons, colors and background easily. This will be a great extra for any instructors to make their courses more attractive and engaging. 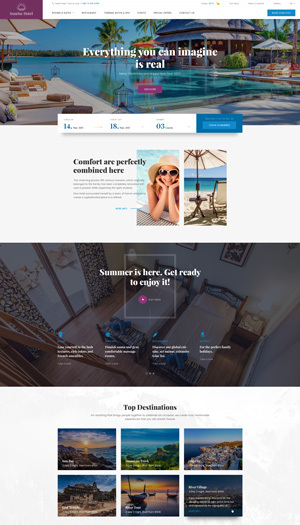 Now, let’s turn your site on and start implementing this for your site. 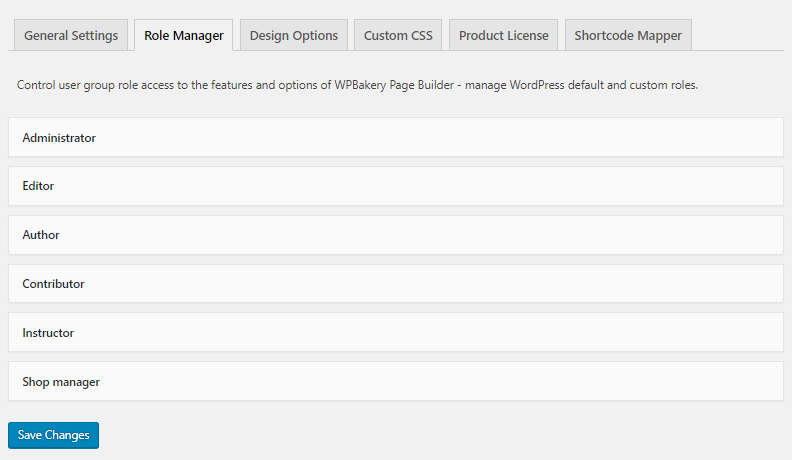 First, go to your site’s WordPress Dashboard, then go to WPBakery Page Builder. The default setting for VC only enable VC for posts. 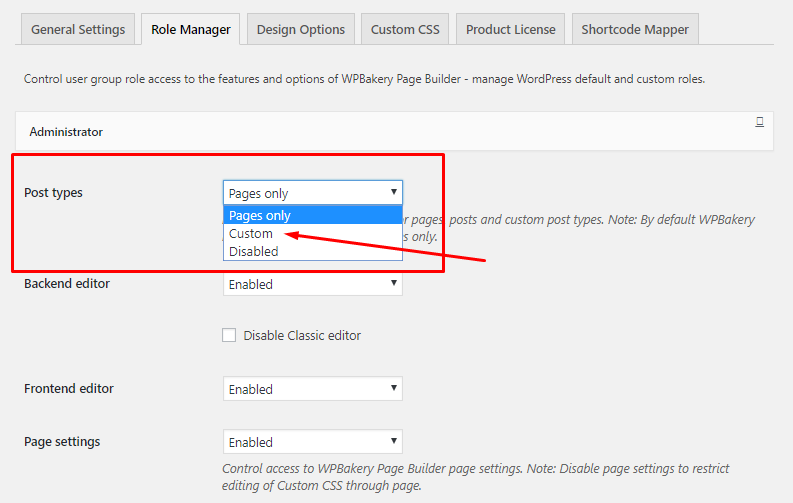 You will need to go to VC’s setting to turn it on for other post types and other user roles. After that, go to Role manager. This is where we can select VC can be turn on for which type and for which user role. 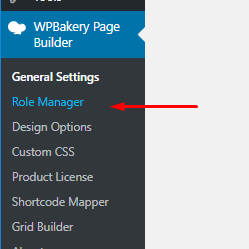 From here, you will see a list of user role on your site, from Administrator to Shop Manager. When the list of post types displayed, choose the post type you wanted to enable VC for. Or you can just choose Post, LP_COURSE, LP_Lesson and LP_Quiz. These may be the most common post types we deal with every day. That’s it! 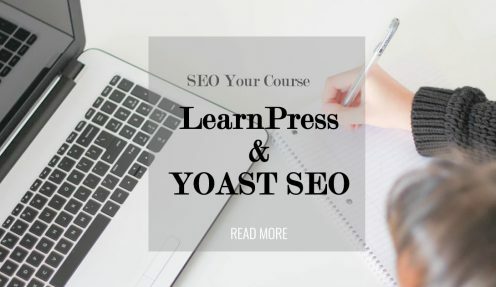 Do it again for Editor, Author or Instructor if you want instructor to also be able to use VC for your courses. 2. 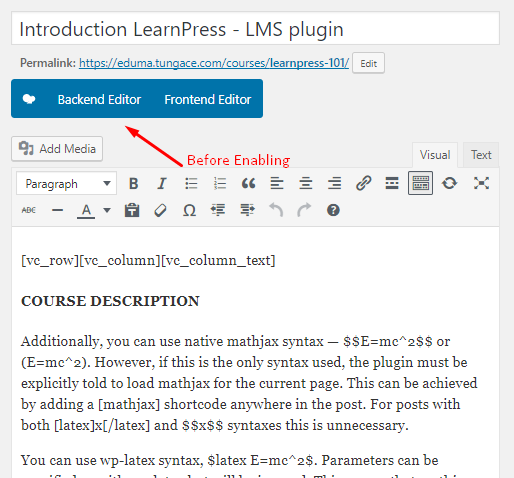 After Enabling VC, the Editor will be pushed to after LearnPress settings. Finally, VC’s Frontend Editor feature won’t work well with Eduma’s course so please only use Backend Editor. This is the result I got after enabling VC for course. Hope this article will be helpful to you guys!